Our Microsoft Access based human resource management system (HRMS) software is an affordable HR software designed for small and medium sized business. 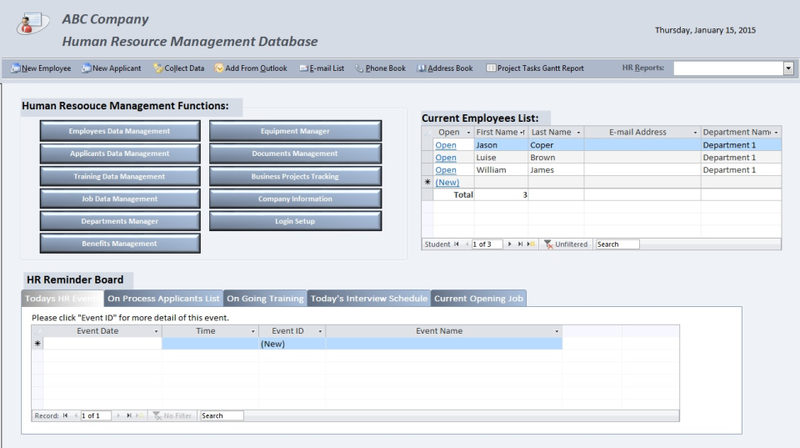 Our Human Resource Management System (HRMS) software is designed for small and medium sized businesses. This powerful and easy to use HRMS software allows your HR team to start working more efficiently on utilizing their time and resources. It offers you wide range solutions that your human resource data management needs. You can access this software from your tablet or smartphone anywhere anytime. Comments: It come with the source code, and the price is good for small firms, easy UI, and can be modify without pay more.